Nike golf clubs may be relatively new to the golf hardware market, but they have made up for their late start and quickly taken their place among the top club manufacturers in the game. Nike Golf was founded back in 1998, starting small and methodically, turning into one of the major golf brands that it's known for today. Their goal is to achieve top performance with every club in the bag, leaving nothing overlooked. In the short time since jumping feet first into manufacturing clubs, Nike has revolutionized golf clubs through innovations like STR8-FIT hosel technology and cavity-backed drivers. 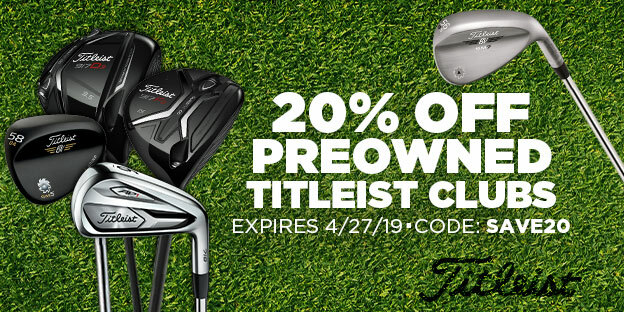 And since their product development team works closely with their staff pro's, you can rest assured that you are buying tour-quality when you buy Nike clubs. 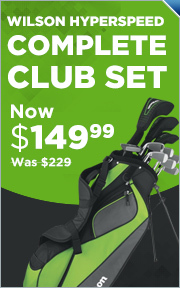 If you enjoy Nike golf clubs, you may want to check out our complete line of Nike golf apparel as well.